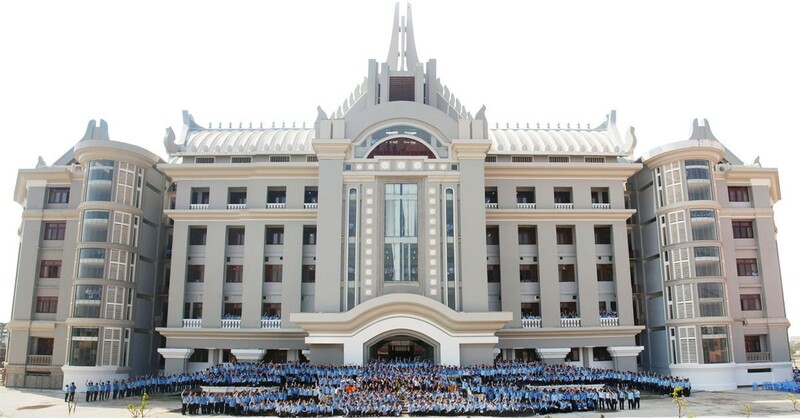 The campus in the downtown part of Phnom Penh consists of five buildings with 92 rooms, including 67 classrooms (19 rooms equipped with LCD), and 25 offices. The physical plant greatly enlarged when the purpose-built building in the new campus in Chroy Changva peninsula became operational. The 5-story building that has an area of close to 20,000 sq.m and is designed along classic Khmer architectural lines. It has offices and the library on the ground floor and classrooms and laboratories in the upper floors. The rooms' windows provide a panoramic view of the surroundings and are fed by soothing breezes.